This past school year was a transition year for my school with character education programs. 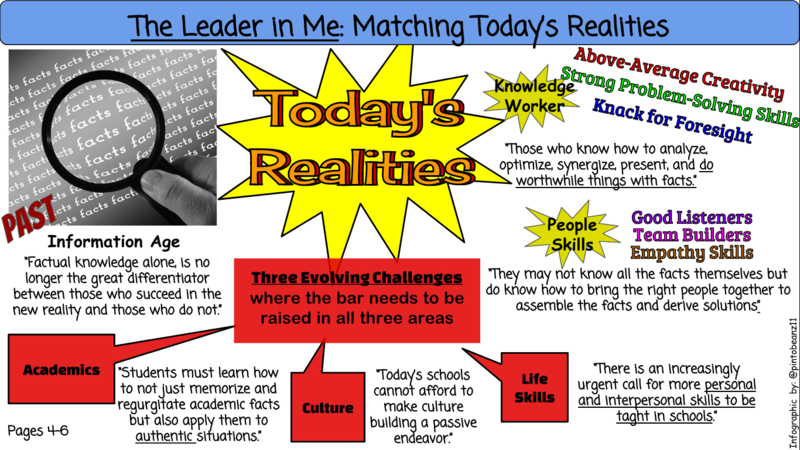 We are transitioning to The Leader in Me process. It is a FranklinCovey whole school transformation process. The Leader in Me is all about developing kids as LEADERS with 21 century skills and a strong foundation of principles, or habits, they need to be successful in life. Those habits are: Be Proactive, Begin with the End in Mind, Put First Things First, Think Win-Win, Seek First to Understand Then to be Understood, Synergize, and Sharpen the Saw. 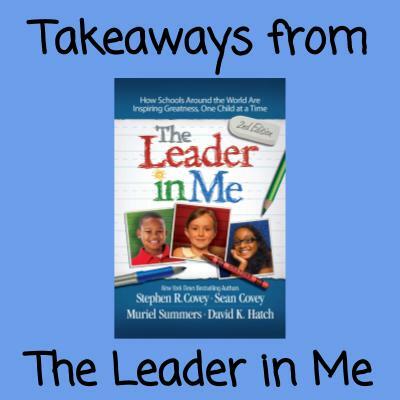 I just finished reading the The Leader in Me book and want to run and tell everyone about it! I found myself fist pumping and saying “yassssss” frequently, because the principles in the book are all about a growth mindset and EMPOWERING KIDS!! The ideas in the book are practical and relevant. The authors include research and various studies that support the impact of the principles. When I was reading the book, I felt like my thinking was challenged (in a good way), all while my values for teaching were strengthened. I’m fortunate to have learned about The Leader in Me from my district and that my school, along with the other elementary schools in the district, are adopting this process. We have each other to bounce ideas off of; we’re in this transformation process together. Your school or district may have a different character education program, but I would still recommend reading The Leader in Me! The 7 Habits are something we can all adopt into our own lives to grow as individuals, and principles that we can surely use in our classroom to support our students being leaders. All in all, I felt the authors addressed realities in education and realities about today’s learners that WE ALL need to hear. This entry was posted in Non EdTech Resource, Pedagogy by Christine Pinto. Bookmark the permalink.